Fibre is crucial to a healthy digestive system, and ensuring you get enough in your diet is a sure fire way to help reach your physique goals. For such an important addition to our diet, most of us fall well under the recommended target amount hitting around 14g a day on average! Fibre is satiating, therefore keeping you feeling fuller for longer – this itself will help you stick to your meal plan and feel more satisfied after eating. Fibre slows the release of sugar from foods into the blood stream, which results in longer lasting energy. Fibrous foods are less energy dense by nature, meaning you will get more bang for your buck by including them in your food plan. Fibre has been shown to have a protective effect on the heart by helping to reduce bad cholesterol, otherwise known as LDL (low density lipoproteins) without reducing the good cholesterol, known as HDL (high density lipoproteins). There are two different types of fibre. These are known as soluble fibres and insoluble fibres. Both types help your body in separate ways, so you should try to include both types in your diet! This can be digested by the human body. This has a number of health benefits such as potentially reducing the amount of cholesterol in the blood. On the other hand, cannot be digested by the human body. This will pass through the digestive system without being broken down and will help other foods pass through your system. Food Sources: Bran, cereals, nuts and seeds. Fibre is found naturally in foods that are derived from plants, so you won’t find fibre in meat fish and dairy. This is where carbohydrates such as whole grains and vegetables come in to play. 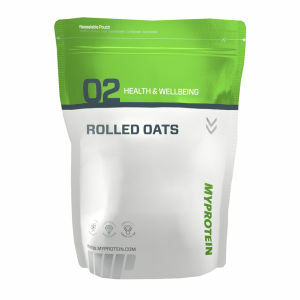 Oats are a great source of fibre. 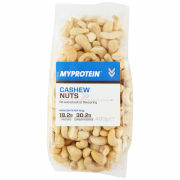 They make the perfect addition to a smoothie, shake or eating a lone to provide slow-release energy throughout the day. 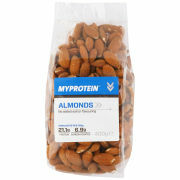 The best nut sources of fibre include almonds, walnuts and pecans. Nut butters are also a great way to sneak some extra fibre into your diet. Try pairing some with rice cakes for a tasty snack on-the-go. This variation offers much more fibre than its white counterpart. Rice makes a great meal when paired with some chicken and vegetables. Beans are a great source of fibre and all types make a dent in your fibre goals. Try making a healthy chilli with some lean mince and kidney beans. Dried fruit makes a great snack post workout. It is fibre packed and will also help kick start recovery being a high carbohydrate food. Fibre is an often overlooked but essential part of maintaining a healthy balanced diet. The benefits are vast so it is well worth making a conscious effort to hit the 30g a day recommendation. Consider using an app to track your fibre intake! You should shoot for roughly 30g a day of fibre. ✓ It’s really important that if you want to increase the amount of fibre in your diet, that you do it gradually. This is because too sudden an increase can cause a lot of digestive discomfort. ✓ With added fibre you also want to ensure that you are drinking enough water, especially if you are exercising regularly and in a hot environment. You may suffer gastrointestinal distress. This will interrupt your digestive system, promoting discomfort. As explained, fibre is an incredibly important nutrient that should be included in your diet. Eating too much or too little? Amend your consumption to avoid any digestive problems and reap the health benefits!